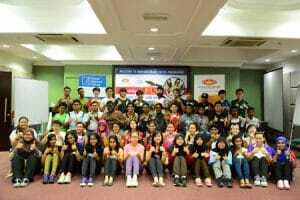 Petaling Jaya, 23 September, 2016 – 61 Malaysian leaders of the future have emerged victorious, equipped with newly-acquired survival skills and confidence after completing TRYLA, a grueling five-day experiential learning programme from 18 – 23 September. 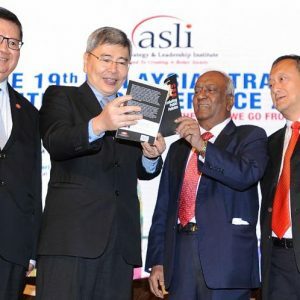 Standing out in the crowd was Mohd Salehuddin Bin Idres, of Sugihara Grand Industries SDN BHD, who was the proud recipient of the 2016 ‘TRYLAN of the Year’ Award. 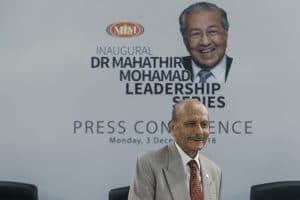 Launched in 1993, the Tun Razak Youth Leadership Award (TRYLA) aims to develop outstanding Malaysian leaders between the ages of 24 to 35 from a range of ethnic and religious backgrounds.  It is named after the late YABhg Tun Abdul Razak, the second Prime Minister of Malaysia, who had well known passion for nurturing young talent. This year marked a return to collaboration with the renowned Outward Bound Malaysia, Lumut (OBML). OBML is one of the oldest centres outside the UK accredited to train and shape youth leaders. They do this through a unique approach that is both challenging and demanding while steeped in a tradition of pursuing character development. Throughout the five days, participants immersed themselves in learning the true value of character, leadership and service. The TRYLANS kayaked, camped in the wilderness and abseiled, many for the first time. They also engaged in group discussions on thought-provoking topics and worked on developing a solutions-based approach to issues; all crucial ingredients in the making of a good leader. To learn more and reserve your place on the next TRYLA Programme, please contact Ajmair (AJ) at: ajmair@mim.org.my / 03 7711 2888.